Have you ever taken your car to be serviced at a dealership? Do you ever feel like you’re being taken advantage of? 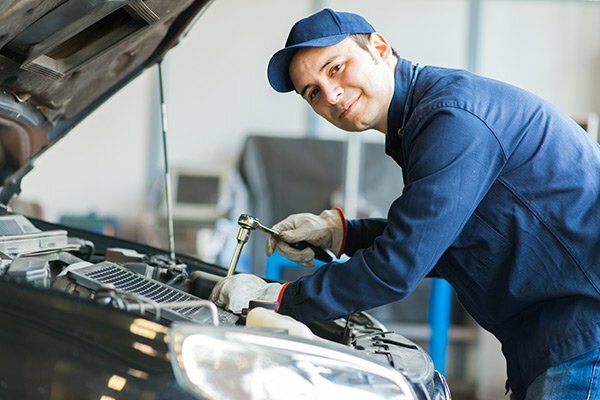 When it comes to car repair, we know things can get really confusing, so we have written a post just for you about having your car serviced at a dealership versus a local mechanic, as well as how to avoid being taken advantage of when it comes time to swallow the bill. Why Should I Consider a Dealership for Repairs on my Car? Let’s say for a few minutes that you purchase a Mercedes. If you start having having issues with your Mercedes, taking it to a qualified technician who lives and breathes the brand and model is the best decision you can make for your car when it comes to repairs. Not only that, but typically they’ll use parts and products made specifically for your vehicle. When you take it to other places like Express Changes or Lube Express, they aren’t trained to know your vehicle. They’re not concerned about whether or not they know what they’re doing when it comes to your car specifically, and they won’t take as much time to be certain its right the first time the way a dealership will. Am I Getting More Bang For My Buck? There’s really no reason to spend a ton of money on a brand new vehicle if you plan on going cheap with your maintenance and repairs in the future. So the answer to this question is going to depend entirely on what you want from your mechanic. A dealership is definitely going to be far more pricey than a local mechanic, but the turnout rate is generally faster and the quality of the work and parts will be much higher. That being the case, you can get the same effect by finding a mechanic that deals specifically with your brand of vehicle. For instance, if you have a Mercedes, you could find a mechanic that deals specifically with Mercedes on a daily basis. Having a good relationship with your mechanic is everything if you want an honest opinion, an honest price and a job well done. But how do you create a good long lasting relationship with your mechanic? The first step is to find an auto mechanic you like and can get along with. You should be able to ask questions and look under the hood with your mechanic and he should be able to explain things to you in simple terms so that you can understand and be informed. At the point that you’ve found one you like, don’t “shop around” but be a loyal customer and invite your friends to give it a shot. Another good way to earn trust with your mechanic is give them the benefit of the doubt. Have your car serviced regularly and always remember that a mechanic isn’t creating issues with your vehicle. They’re just telling you about the problems and how they intend to fix them. We don’t deny that there are mechanics out there that will try to take advantage of you. A common tactic is “bill padding” and if you’re not paying close enough attention, you’ll fall for it. If you get a bill that informs you that you owe $300 in shop supplies, challenge your mechanic or dealership on it, because although they might not cover the whole, they may take some of the charges off. Then, you might end up feeling a little better. There are many factors that can go into deciding where to have your car serviced. It all comes down to finding what you want and how much you’re willing to give to get to that point.